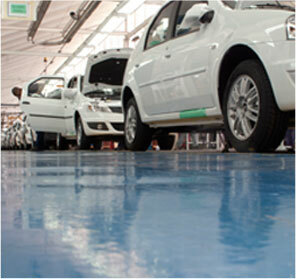 Tanger Automotive City is situated in an employment pool consisting of qualified and available employees. This pool provides over 12,000 graduates per year, of which 1,500 engineers and technicians. It benefits from the presence of around 20 training centres in the region, mainly dedicated to the automotive sector. The Institut de Formation aux Métiers de l’Industrie Automobile (IFMIA), close to the zone, provides a relevant training catalogue and attractive grants up to €3,000 per year per employee. With 22 training centres mainly dedicated to the automotive sector, including the neighbouring Institut de Formation des Métiers de l’Industrie Automobile (lFMA), the TAC is able to provide trained and skilled human resources to foreign investors at a competitive rate. The TAC receives large subsidies from the state, mainly dedicated to training, and provides companies with a relevant training catalogue and direct grants up to €3,000 per year per employee. Tanger Automotive City provides opportunities to recruit over 12,000 graduates per year, of which 1,500 engineers and technicians.